It’s about to cost you a little bit more to snag a photo with Mickey or get your Dole Whip fix because Disney ticket prices are being raised again at U.S. theme parks. On Sunday, February 11th, Disney announced that it was making adjustments to the already three-tiered ticket prices at both Disney World and Disneyland, with the majority of tickets going up by just a few dollars. Peak single-day tickets at Disneyland will see the most dramatic change, increasing by $11 to $135 for an adult ticket. Meanwhile the price for a “regular” ticket will increase to $117, up from $110, while the “value” ticket will remain at $97. Over at Disney World, prices rose between two and four dollars. At Magic Kingdom, Disney World’s most popular park, peak tickets rose to $129 for adults, while the “regular” and “value” tickets increased to $119 and $109, respectively. Disney World’s other Orlando-based parks — Epcot, Hollywood Studios, and Animal Kingdom — also saw a small increase to $122 for peak tickets, $114 for “regular” tickets, and $102 for “value” tickets. The new Disney ticket prices come just ahead of a lot of exciting changes to the ever-evolving theme parks. This summer, California Adventure’s Paradise Pier will officially be transformed into an out-of-this-world Pixar destination, Pixar Pier. 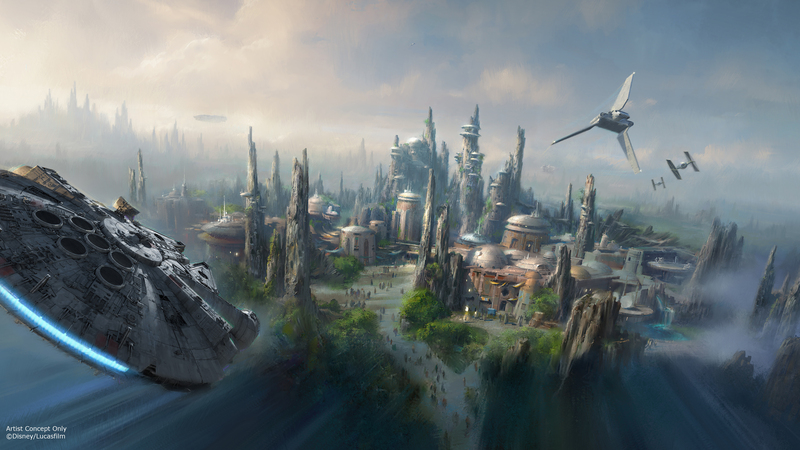 Meanwhile fans are already bracing themselves for Star Wars: Galaxy’s Edge, the highly anticipated attraction set to arrive at Disneyland and Disney World sometime in 2019. While we don’t love hearing that it’s about to cost us even more to go to our favorite Disney Parks, we’re glad the Disney ticket prices aren’t going up too much – because a girl’s gotta rock her rose gold Minnie ears while eating Dole Whip somewhere.